Could that quad camera be enough to take down the S10? The Huawei P30 Pro could be the biggest threat to Samsung's Galaxy S10 in the race to be crowned king of the Android smartphones. Now it looks like the two could get released very close to each other and soon with MWC 2019 just weeks away. 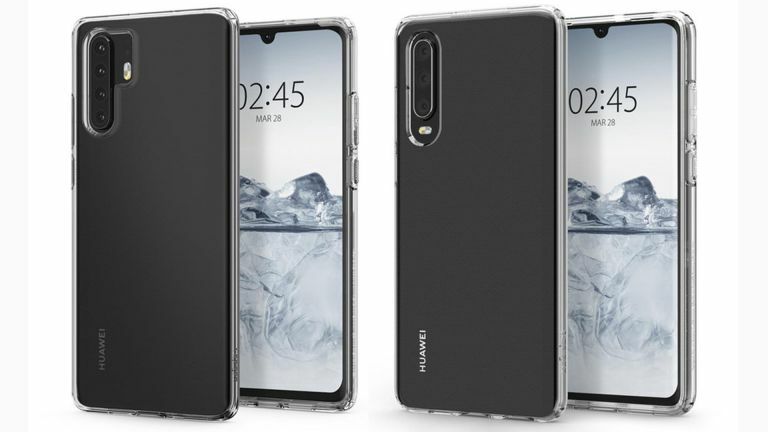 According to a report from Polish blog Telix, Huawei plans to launch both the P30 and P30 Pro at a Paris event in late March. Samsung has its S10 launch event lined up for February 20, so perhaps don't rush out to buy that right away. Images from case manufacturer Spigen show off renders of the P30 and P30 Pro. The telling detail is the date shown on the lockscreen which gives us a March 28 reveal. This is often a way of leaking the launch date ahead of time. While Samsung is expected to upgrade its flagship form dual to triple lens cameras, Huawei has already done this with its P20 Pro and should now go one step further with its quad camera toting P30 Pro. As you can see, the P30 Pro features a full screen with minimal bezel thanks to a water-drop style notch display. Since there are no fingerprint sensors in sight it's been suggested we can expect an in-display fingerprint reader which should be the trend for 2019 Android phones if rumours prove accurate. Check out the full details on the P30 Pro leaks so far here.